We all realize how common medical errors can be, and we have all heard stories of tragic mistakes made by medical professionals out of carelessness that have cost a patient their health or life. Yet in what may come as a shock even to those familiar with the crisis of medical errors, a pair of researchers from Johns Hopkins University asserts that medical errors are now the third-largest cause of death in America. According to the researchers’ estimate, preventable medical errors are responsible for approximately 250,000 deaths each year in the US. When comparing the number of deaths caused by diseases such as heart disease at over 599,000 deaths caused, cancer at over 582,000 deaths caused, and chronic obstructive pulmonary disease (COPD) at approximately 149,000 deaths caused, medical errors would come in at number three, displacing COPD. The Centers for Disease Control and Prevention (CDC), which publishes a list of the leading causes of death in the US, does not include deaths caused by medical error among its statistics. The academics who conducted this research, Dr. Martin Makary and Michael Daniel, claim that the issue of medical errors does not receive the attention and concern which it is due for several reasons. Among them is the fact that human error does not appear among the available choices to list as the cause of death on a death certificate. Currently, those filling out a death certificate can only choose something associated with a disease code as the cause of death, and “medical error” does not have a disease code assigned to it. These disease codes were developed for the purpose of billing health insurance companies and are not intended to track medical error. This has the effect of shielding what may be the true cause of a patient’s death, while still describing the technical medical reason that the patient’s heart stopped. For example, even though a patient may have died because she was administered an overdose of a stimulant drug which caused her to suffer a heart attack, her cause of death would be listed as cardiovascular. The CDC only tracks causes of death according to the cause listed on a death certificate, which is the reason that statistics on leading causes of death do not typically include such errors. Currently, it requires an examination of a patient’s medical files to determine that an individual died due to medical error. This fact makes it exceedingly difficult to measure the frequency of medical errors. This does a grave disservice to the public, which relies on these medical institutions to keep their health and best interests front of mind, and prevents policy-makers and safety experts from taking a hard look at the crisis of medical errors facing hospitals and patients. 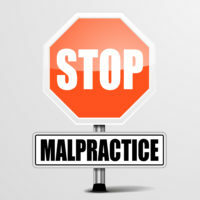 If you have been injured due to a medical error or medical malpractice in New York, including anesthesia errors, surgical errors, or delayed or mistaken diagnosis, contact the seasoned and trial-ready medical malpractice attorney Leandros A. Vrionedes for a free consultation on your case, in Manhattan at 212-889-9362, or in Queens at 718-777-5895.